This session will demonstrate ways to model human-robot interaction (HRI) using a practical coding scenario. 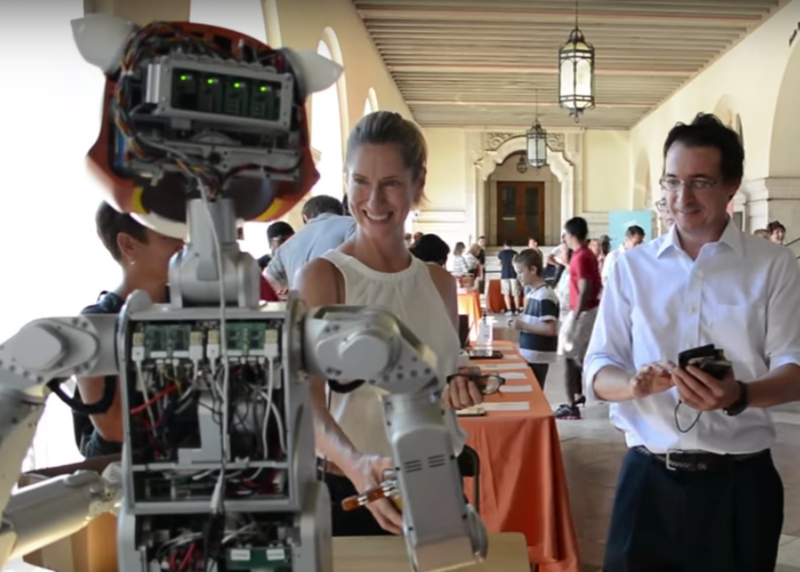 We’ll explore how to program a listening humanoid robot that manages its eye contact to maximize “connection” and minimize “social awkwardness” in human interaction. This session will address many practical computational questions and frame cognitive modeling problems based on intuitive mechanical analogies. Find out how to leverage the power of feedback optimal control to generate useful behaviors – and see the results as we demonstrate outcomes on the Dreamer Humanoid robot!